When I decided to get this book for review, I thought, “Now I’ll know how to do it all”. But this book shows you what is really important, putting GOD first, then everything else will fall into place. This is a great study guide that can be used over and over again. Amy tells you how to balance your Spiritual, home and work life. She puts books, chapters and verses of the Bible in here for you to study. She helps you to understand that The Proverbs 31 woman isn’t just one woman. And she helps you to understand that you don’t need to be the “perfect” Proverbs 31 Woman for GOD to be able to use you. You just need to be open and accepting of his will. I think Amy did a great job with this study. I plan to keep it downloaded and use often. Thank you, Amy. Amy Bayliss is a sassy little Cajun woman born and raised just south of Baton Rouge, Louisiana. Having experienced some of the best and worst life has to offer, Amy is determined to help others find freedom from themselves and live a fulfilled life. The Cajuns call this “joie de vivre”. She achieves this through her faith in Jesus Christ, simplifying of daily routines, and spending time with those she loves. 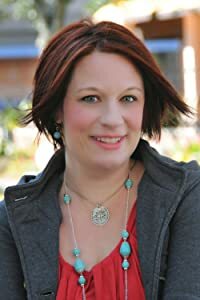 Amy has been featured in Woman’s Day Magazine, Inside Out Programming, and was the feature story and cover girl for Christian Women Online Magazine in August of 2008. Well, I had two tests yesterday. One in math and one in Computer Fundamentals. I wasn’t nervous about the math test at first, but when I logged onto the computer to start the test, I got really nervous. I thought, oh no, everything I’ve learned I just forgot. So I did the best I could and, low and behold, I made a 100%. That was a releif. For my Computer Fundamentals test, I wasn’t to nervous. I know that I missed one, but the teacher had some extra credit questions on there that I think I got right. Eugene Mast has his heart set on leaving his Amish community in Indiana to teach in a Mennonite school in Iowa. But in so doing, he must part with his “dearest Naomi”, the girl he plans to marry at the end of the school term. This charming novel is based on the actual letters sent between popular Amish fiction author Jerry Eicher and his wife, Tina, while the couple was separated during Jerry’s tenure at a Mennonite school. It took me a while to read this book as I didn’t get into it at first, but the more I read the more I liked it. It was written as a series of letters between Eugene and Naomi. Sometimes one would write a letter to the other and reference something that I didn’t remember reading about in a previous letter. I like that it was based on something that acutally happened and I like how Jerry portrayed the characters true feelings of lonliness for each other. I would give this book four stars. I enjoyed, but not as much as some of Jerry’s other books that I have read. Keep up the good work Jerry. I like to blog because I can express my thoughts. I’m also getting to met some people online and view other peoples perspectives. ALL ENTRANTS will have access to unlimited downloads of any of Wayman Publishing’s Top 10 Books. Thanks to Wayman Publishing and other sponsers Terri’s Little Haven, Contest Linkies, Mommy Blog Designs, and Voiceboks.